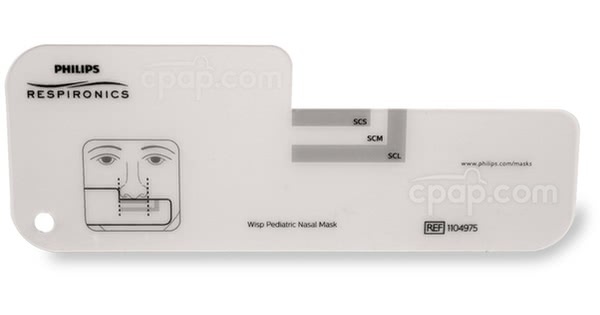 The Sizing Gauge for Wisp Pediatric Nasal CPAP Mask is a physical sizing gauge used to determine the correct size Wisp pediatric nasal cushion to use with the Wisp Pediatric mask. This is the sizing gauge only and does not include any other parts. 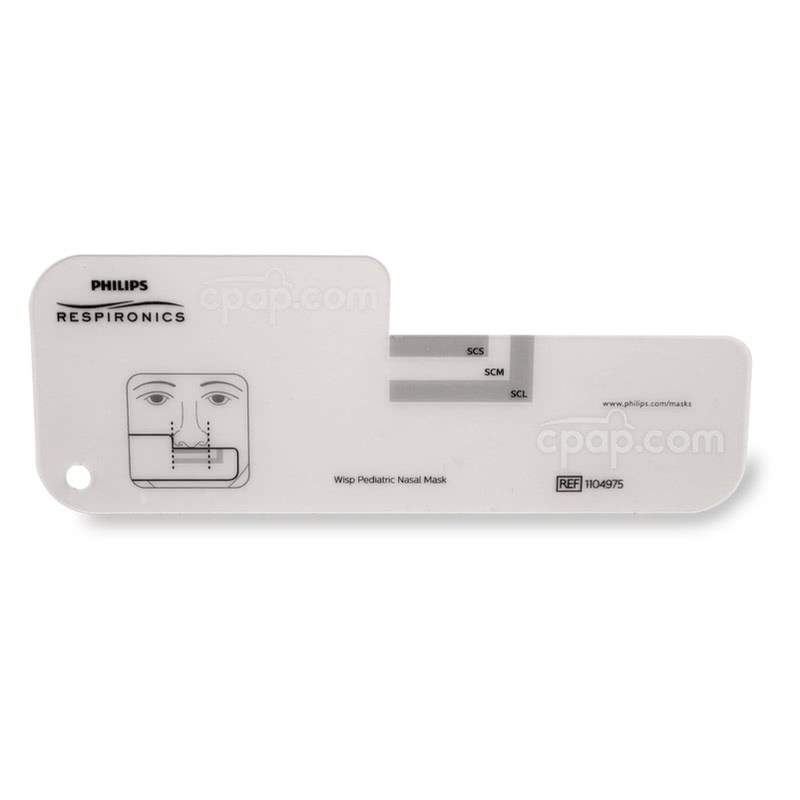 Place the gauge under the nose to determine the size needed based on the width of the nose.